Russell Davies, who was previously at Wieden & Kennedy, Nike, and the Government Digital Service, explains what Campaign readers can expect from his new blog. I'm a big fan of Martin Belam. He's recently become social & new formats editor at The Guardian and he introduced himself to his new 'community' with a splendid blog post detailing some of his past triumphs and disasters. I'm going to start writing on this here blog once a month so I thought I should do the same thing – to give you some context about who I am (or was) so you can decide whether it's worth reading what I write. I used to be a planner. The video above is probably a decent summary of what I think about planning and related matters. An advertising school in Australia asked me to do a Skype with some of their students, but, since those things never work I asked them to send me some questions instead and I got a mate to film me and ask me the questions. That's what that is. 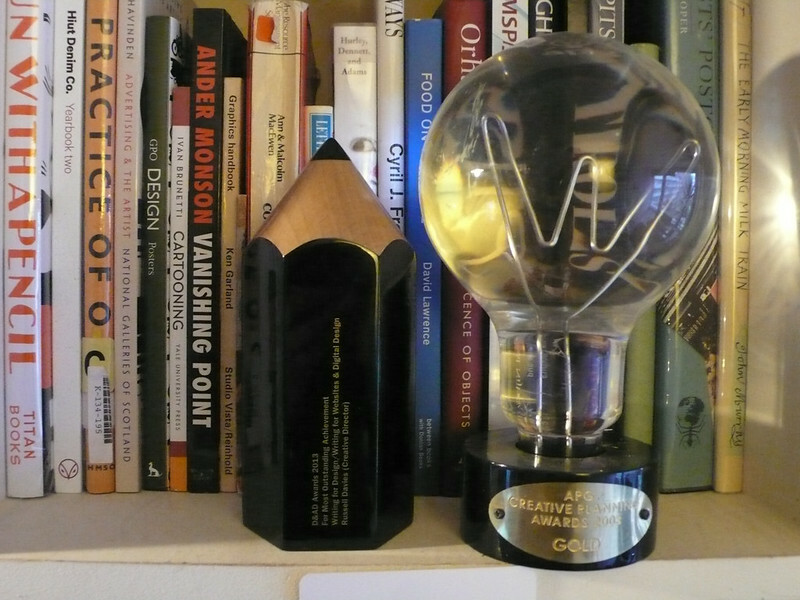 If you're impressed by awards (AND I AM) I believe I'm the only person who's ever won an APG Gold Award and a D&AD Black Pencil. Here they both are in all their glory. I've worked at a bunch of different places but the only ones anyone ever wants to hear about are Wieden & Kennedy in Portland and London, Nike, and the Government Digital Service. The most popular blog post I ever wrote was this one from 2007 about what I learned working at Wieden. The least popular one was probably this one where I slagged off some creative directors. If my name seems familiar it might be that you remember the column I wrote in Campaign from 2006 until 2015. Remember 2015? The good old days. I imagine you can find an archive of those articles somewhere hereabouts. I stopped because I was getting really frustrated by the limits on what you can do in print. I learned to write through blogging and I hated not being able to put the links where I wanted them and not being able to use video and gifs and all that. I kept wanting to experiment with the form, to muck about with things. Excitingly Campaign want me to do that too. As long as I stick to a rough territory of 'creative, media, marketing' they're encouraging me to play around with these things as much as possible. Sometimes they'll be audio, sometimes text, sometimes video, sometimes an interactive game that will award one of you £1 million. Possibly. There's only one rule I've set myself. Russell Davies is a writer and strategist.